If you love to play sounds with all kinds of tricks, then you are the person who should go for Sound Engineering. Yes! That can be an exciting career option which can give you a wide scope and the opportunities to please the audience. Let us first understand a few basic things about the profession. What will be your job role as a Sound Engineer? Well, that depends on the industry in which you are employed. Basically, you will have to record or reproduce sounds using different audio equipments. Editing, mixing and mastering the audio tracks will be an inseparable part of your daily work. The picture that usually pops up in our mind is that of a person sitting with a huge soundboard with all its dials and panels, but that is not the whole about a sound engineer. Technical expertise is important but your creative aspect can’t be ignored because ultimately that is what will help you in manipulating and presenting the best piece of music. However, your work will not be limited to just ‘music’. 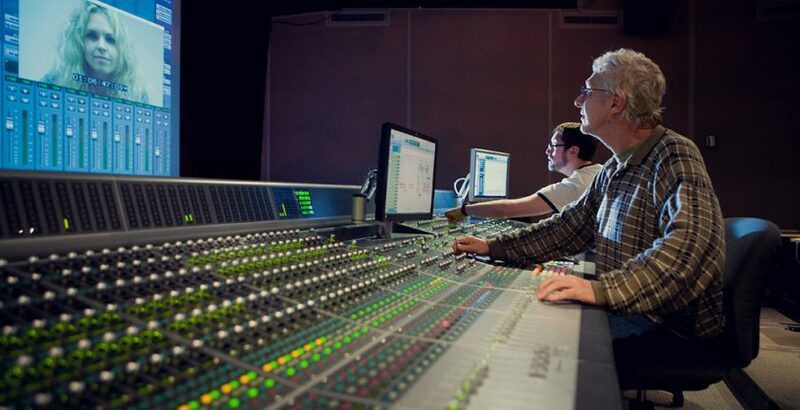 Sound engineers have a huge scope in designing and controlling sounds for a variety of purposes be it on films, advertising, television, radio, musical recordings, live theatres/concerts, sports, computers games and so on. Sound Engineering can be done after 12th standard with Physics, Chemistry and Mathematics subjects. In a few institutions, they conduct their own entrance examination for the course of Sound Engineering. However, to get admitted to a National Institute, you must possess your Graduation. A good understanding of the physics of sound, awareness of current audio technologies, excellent oral and communication skills, problem solving abilities, good sense of timing and swift reactions are some of the qualities that are regarded as must to be a proficient Sound Engineer. Sound Assistant: A member of the sound crew who provides assistance and backup to the sound mixer and the boom operator thus making sure that the department runs smoothly. Sound Recordist: They record sounds and bring out the highest quality of audio effects to give the final product a feeling of ‘reality’. Boom Operator: They assist the production sound mixer with microphone or the boom mic’s placement, without letting them enter the camera’s frame. Sound Supervisor: They work with the Directors and Senior Production and Technical members and oversees the entire sound team by being closely associated to the boom operators and the technical assistants. Sound Editor: They select and join the perfect recordings and prepare the final product after mixing and mastering and are answerable to the producers and the directors for their work quality. Dialogue Editor: They collect, edit and put the best dialogue (that was recorded on the set) in the production tracks. Dubbing Mixer: They mix the recorded dialogues, sound effects and music to create the final soundtrack. Foley Artist : From sounds of a squeaky door to footsteps or breaking of a glass, a Foley Artist creates a variety of sound effects and adds them to films and images, as per the demand of the situation. It is often overlooked by the general public but as a Sound Engineer you can go a long way as in the recent time its scope has broadened like never before. Your professional success will depend on your talent of how you attract the attention of the people by your work. The career of a Sound Engineer is as promising as that of the Film Industry and they are being hired by different organisations with lucrative salary structure. All credits goes to the newest digital technologies and the state-of-the-art studios across the country that the career prospect of a Sound Engineer looks brighter these days. Good luck!